Pursuing yet another bloodsucking flea as it hops off of your dog and into your carpet, you curse the creature and its darned jumping ability. Well, as any self-respecting grasshopper can tell you, fleas aren't the only insects or bugs that can hop. From fleas and springtails to grasshoppers and katydids, there are a number of insects that use jumping to either pursue their prey or escape becoming prey, themselves. So named because of their jumping ability, not for any sort of penchant for pooches, flea beetles are small beetles that jump when disturbed. Known for the damage they can do to vegetable crops, flea beetles tend to eat holes right through leaves in the manner of a caterpillar, leaving a hole that appears to have been made by very fine buckshot. Unlike actual fleas, flea beetles can fly and do so in order to find the plants that are most to their taste. Some varieties of flea beetle prefer cabbage, and others prefer tomatoes or potatoes. While some entomologists consider springtails to be separate from insects, instead designating them a modern hexapod, but they certainly meet the criteria of "bugs." Although they do not damage homes, springtails are often found in newly built homes because they are attracted to damp building materials and wet plaster. Springtails are tiny in size, ranging from 1/16 to 1/8 inch long, and are so named because they "spring" or jump away from any disturbance by snapping their tail against the ground. Springtails need a moist environment to survive, so if you don't want these pint-sized pests in your home, keep things nice and dry. Both from the insect order Orthoptera, grasshoppers and crickets are marked by their long, powerful back legs that they use to propel themselves far (relatively speaking) into the air. While they are very similar in appearance, crickets tend to have much longer antennae than their grasshopper cousins. A notable fact about insects from the order Orthoptera is that all of them "sing" by rubbing parts of their bodies together, an action referred to as stridulation. While all varieties of bug and insect that hop clear impressive distances, none are quite so impressive as those achieved by the froghopper. 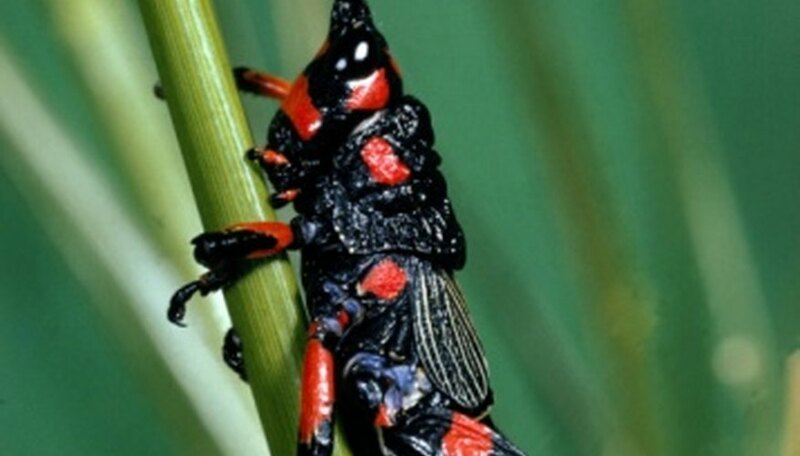 The froghopper bug, a sap-sucker known for coating plants with foamy spittle, was crowned the "World's Greatest Leaper" by National Geographic in 2003. Froghoppers themselves measure a mere 1/5 inch (about 6 millimeters) long, but can leap a whopping 28 inches (70 centimeters). That's 140 times their body length -- for the sake of reference, imagine a human long-jump record of 840 feet. 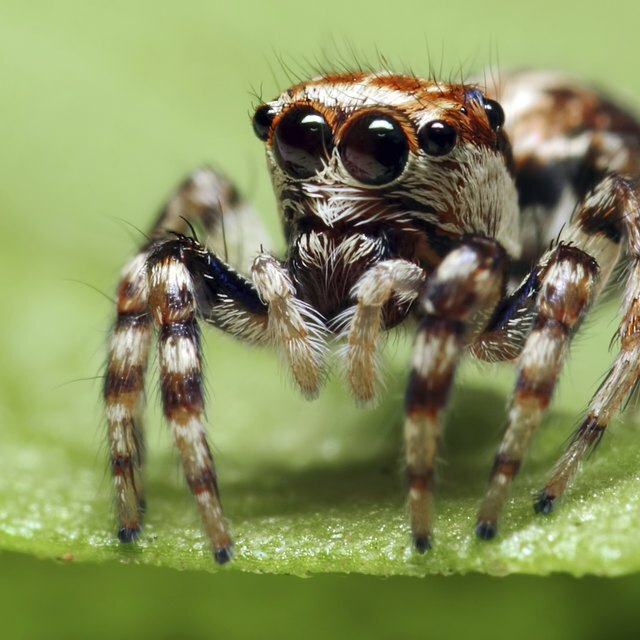 The secret to the jumping, says neurobiologist Malcolm Burrows, is a specialized catapult mechanism that relies on a system of storing, then releasing energy. Lynch, Amanda. "Insects and Bugs That Hop Like Fleas." Sciencing, https://sciencing.com/insects-bugs-hop-like-fleas-8109546.html. 25 April 2017.